Size 3,4,5,6,7 out of stock. First Launched upon an unsuspecting public in 1956 the original Hunter broke all the established rules, Lightweight, Neatly fitting and above all, comfortable. 60 years on and the original Hunter has become a style classic and quite simply a symbol of British country life. 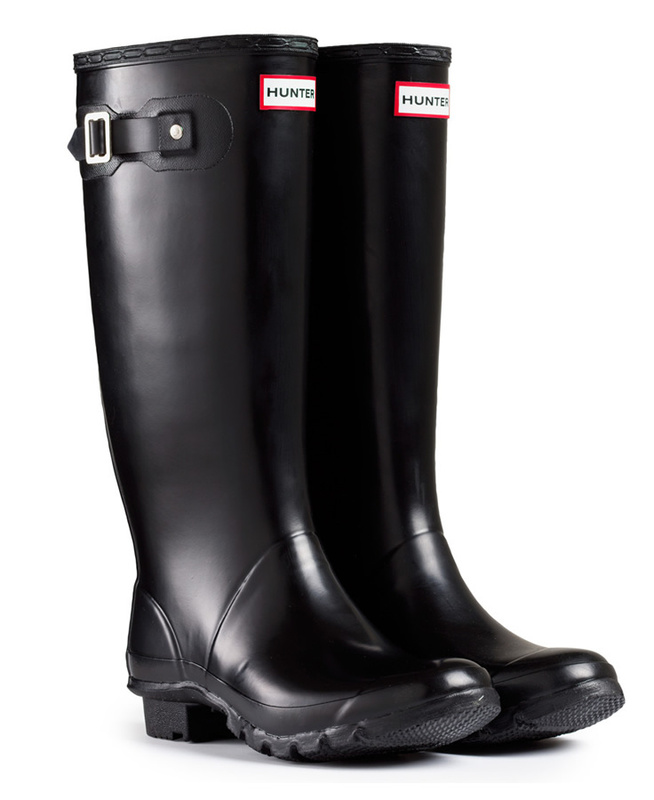 Huntress Wellingtons are generous fitting ladies versions of the original Hunter. The Huntress Wellington is created on a wider fitting orthopaedic last and incorporates a cushioned footbed to ensure all day comfort. It has an anti-bacterial lining and a unique latex dipped construction, making them strong but flexible. Every Huntress boot is made by hand, using a combination of modern technology and traditional craft techniques. The rubber used is an entirely natural product, tapped from rubber trees in tropical plantations. The traditional calendered outsole coupled with the Hunter badge and buckle make them the best looking wellingtons on the market.